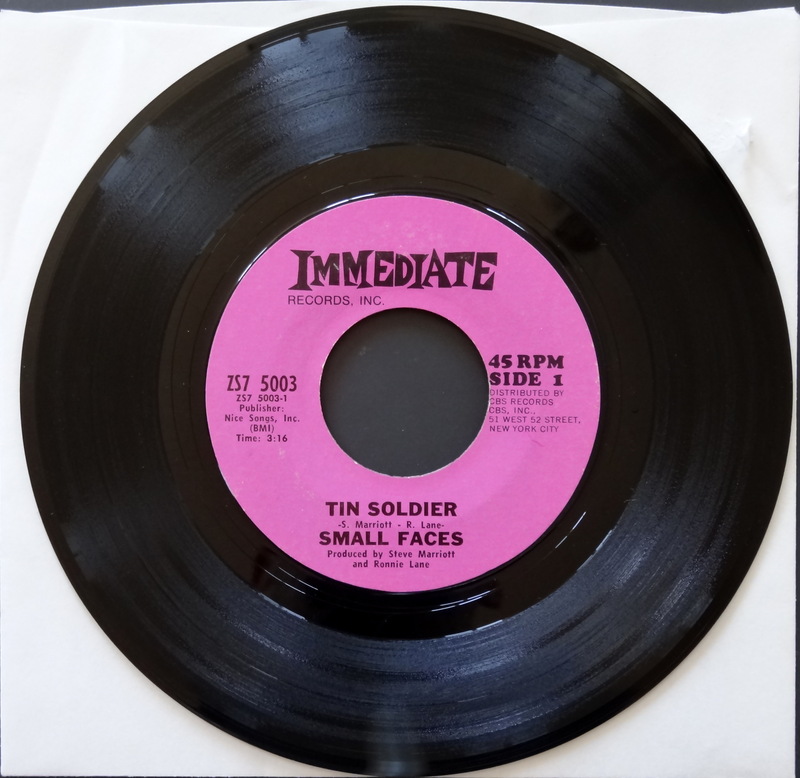 I’m not a big singles collector, but I love Small Faces. 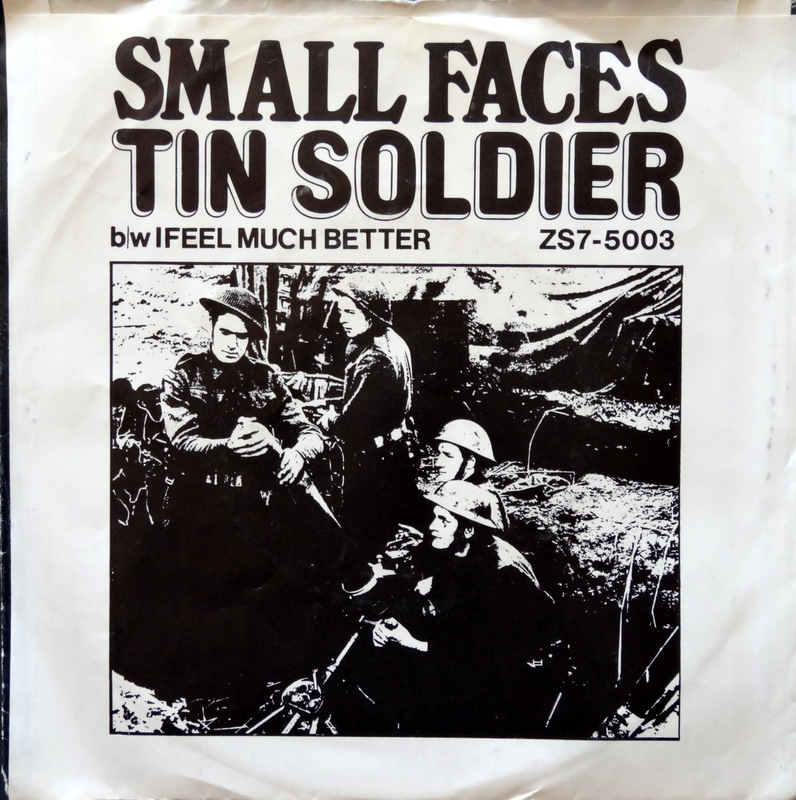 I love picture sleeves, too, but mostly I just love this song. 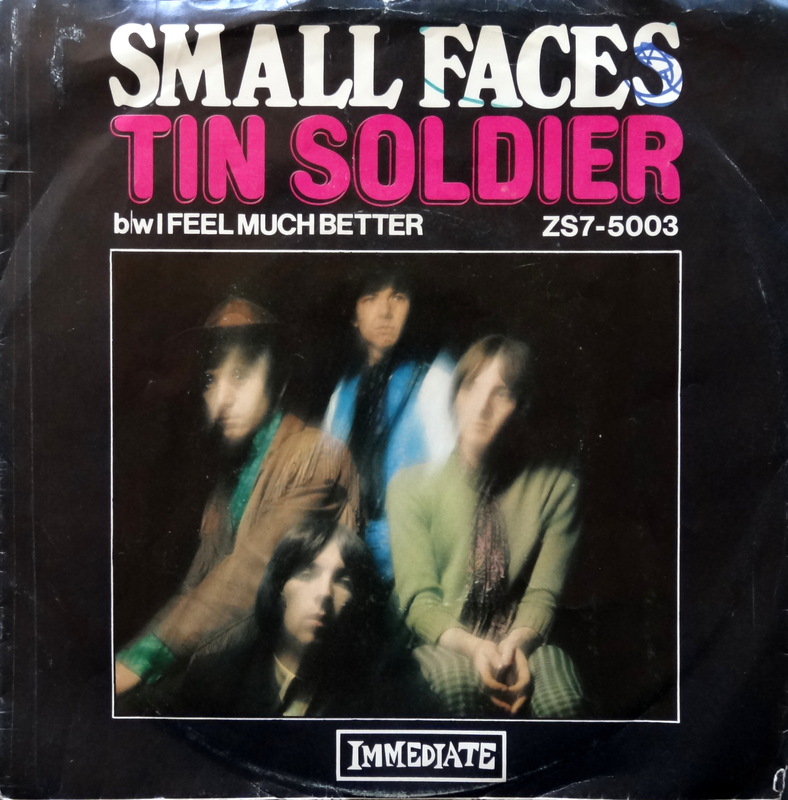 Released in the U.S. in February 1968, “Tin Soldier” retains the psychedelia of “Ithchycoo Park” but with the pub rock vibe that made their successor band, the Faces, legends. Honestly, I probably wouldn’t have purchased this if not for the picture sleeve. 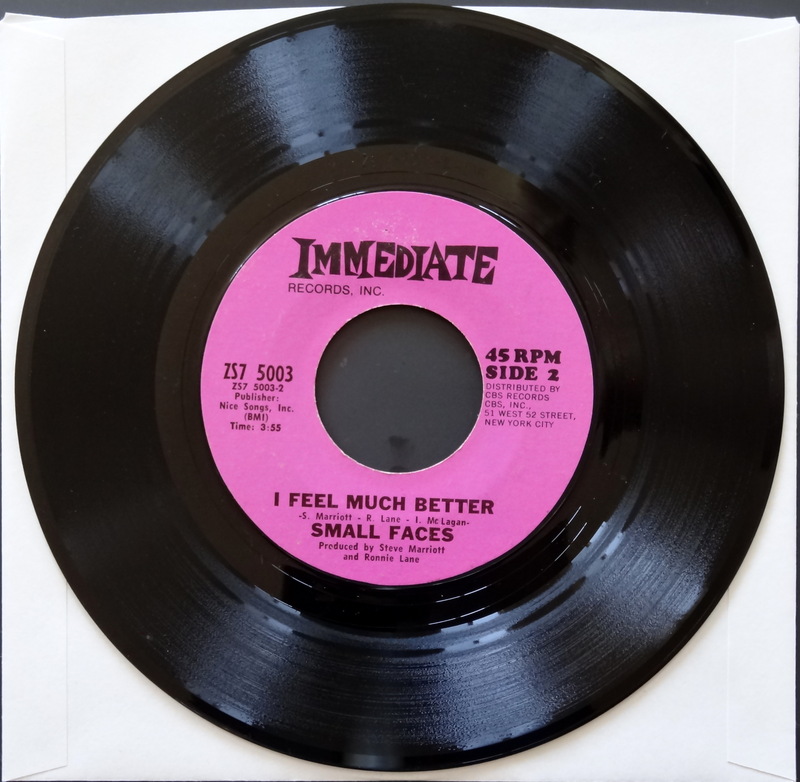 In the digital age, 45s aren’t the most efficient method by which to deliver a much needed dose of Small Faces. But the artifact is the thing, and that cool, pink, Immediate record label and even cooler picture sleeve make for a great artifact. As the lads themselves might say, this one will cost you a tenner. Happy hunting. Great song. I love how self-contained “the girl singer” is, her restrained body movement while he lets it all hag out. Groovy, baby.